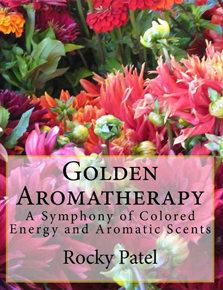 *Golden Aromatherapy's mission is to help improve life through the use of essential oils. The aroma from flower and plant oils can help people emotionally, spiritually, financially, and in their relationships by the science of vibration.These products of nature are real gifts from God to humanity. Each plant has a different chemical composition translated by unique fragrances and properties. They also vibrate in different levels and work directly in our brains to enhance our own vibration. Substances found in essential oils can help bring to normal the functions of our cells, helping in healing processes and rejuvenation.